Has height adjustment, and that's it. There's nothing to tinker with, nothing to tweak, nothing to think about. Features a breakthrough Kinematic Spine™ that provides the perfect flex and strength. It bends and flexes with every movement, responding to the natural ways your body moves. Dematerialized design uses less material—only 17 pounds—to support people of all sizes, up to 300 pounds. 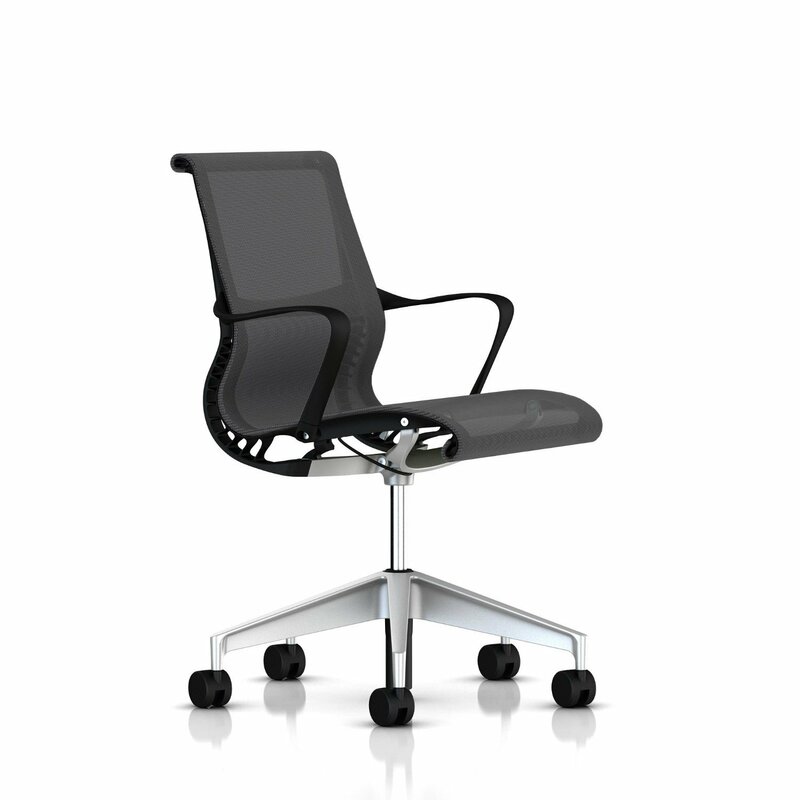 The breathable, pliable woven suspension adapts to your sitting bones, providing contouring comfort as well as aeration.